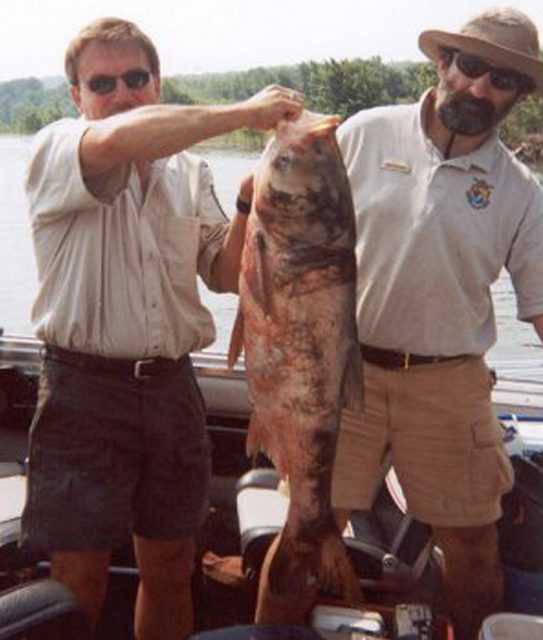 Asian carp are huge, often growing to be four feet long and weighing 80 pounds. They are also extremely prolific and voracious. Most Asian carp consume up to 40 percent of their body weight every day. There is currently an electric fish barrier strung across the bottom of the Chicago Sanitary and Ship Canal to keep the fish out of the Great Lakes. The barrier creates an underwater field of electricity that repels the carp. Andy Buchsbaum is the director of the National Wildlife Federation’s Great Lakes Office. He says the current barrier is temporary and due to fail next year. The U.S. House and Senate passed a bill that will supply 75 percent of the funds for building a new barrier. The Great Lakes governors have agreed to supply the rest of the money. President Bush has said he will sign the bill when it reaches his desk. Buchsbaum says the new barrier can be completed within 60 to 90 days.